Rupert the Tailor Long Red Top Socks. Excellent quality long socks, have trouble finding them anywhere else. Comfort without compromise - these socks have excellent thermo-regulatory properties that make them an ideal work sock, kepping you warm in winter and cool in summer. A good product. I wear only knee-length socks. The best quality socks I have ever purchased. Thank you for your kind comments, we are very proud of these socks, and the quality we get from them being made in England, and we are delighted to hear you like them too. Perfect fit and quick delivery thanks I will be back when these wear out!! Excellent quality and just what we wanted, thank you. Just great. I shall be back for more. VG quality and well made product. Thank you for yuor feedback, it is much appreciated. Very grateful that there is a source for the knee-length socks which I prefer. The socks are a replacement of the ones that Wolsley has stopped making. They are quite good but just a bit too tight and thus difficult to pull on. Exellent pruduct! Exactly what I hoped for, both colour and material. A real pleasure to recieve!! As far as I am aware my Father is very happy with the socks - thank you! The socks fitted perfectly. I shall be ordering more in due course. Having used Wolsey Red Top socks for years in winter I was having difficulty finding them this year. These are every bit as good and I am so glad I found your website. socks perfect fit, just the job, thanks. we are awaiting the return to examine. 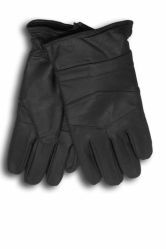 These are sometimes considered tight round the top, Wolsey used to describe them as "Grip Tops". They are not for everyone. Have you tried soft tops? Husband likes these socks, good substitute for the Wolsey product. However i feel that the Wolsey product is a softer and better quality yarn and washes better. 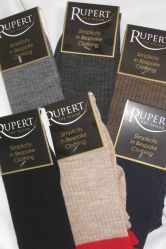 But in the event that Wolsey have discontinued their line, the Rupert product will continue to be product of choice. Good quality, first time worn they seem only just long enough, I would have prefered then at least 2" longer to give a turn-over for comfort (5 x DVT and a bit careful nowadays! ), I'll have to see how they perform for comfort/fit by the end of the day - and after a wash. I was really pleased to find these new Red Top Socks, but after a few wears I am finding that they are tearing when I put them on. This concerns me because they are almost new. The Wolsey ones I have are still going strong in most cases with many times the number of uses. I'm very sorry to hear you have a problem. I'm surprised you haven't contacted us to say that there is a fault with them, so we could sort it out for you. We are here on the phone from 9am - 5pm Mon- Fri and we can also be contacted by email. We will reslove this for you. Thank heavens someone is continuing to make sensible socks. Wolseley's loss is your gain. I will recommend you to my friends. Many thanks for your comments we are a small company with four of us in the team, we need all the help we can get. Thank you for your speedy service as always. I haven't worn them yet but they appear to be of excellent quality and, unusually, are manufactured in the UK. Thank you for your feedback,we have a variety of colours including Rustic (this is a brown colour). All are available on the website. Also if its not the right brown colour for your dad you can send it back to us using the Freepost returns. The socks were purchased for my 96 year old Dad who loves them as he likes the long length and the lighter weight. I LOVE THESE SOCKS,COMFORTABLE & A PLEASURE TO WEAR! As good as if not better than the original Wolsey. The length up my leg seems to be shorter than the earlier chinese-made version. The UK version only reaches to about one inch short of my kneecap. Whereas, the Chinese ones fitted quite snugly right up under my kneecap and were consequently supported better by my calf muscles. Worn only once so far, but just what I was looking for. Provided they are sufficiently durable over a long period of time, I'll be back again & again. Thanks very much. Top Banana! Its nice to know that I can still get long grip top socks, now that Wolsey have stopped manufacturing them. Nice to find quality socks available on line. The socks make a good substitute for Wolsey Grip top. I think they have less wool than Griptop, only time will tell if they are as durable. I have tried these socks as a replacement for the Wolsey line that is no longer manufactured. The news ones appear somewhat thinner and this give me concern, as with the old product, I used to find the heel would wear through very quickly and I am worried that this may be even worse. the new line of socks appears to be every bit as good as the wolsey grip tops. Many thanks for your positive feedback on our new socks. We are really pleased with them it is lovely to have something made in the Uk for a change. Many thanks for the endorsement of the new sock. Fantastic - great to be able to get such a good quality pair of socks in a range of classic colours that don't need pulling up all day long and seem like they will last a long time too. as good as the previous ones! Good socks, certainly as good at the later Wolseys, but not as good as the old ones, which were thicker. However, I will still buy these. I guess they are saving on the amount of wool in them nowadays! Thank you for your feedback these socks are made from a finer better quality wool with a reinforced foot so I hope you will find they will wear better. The "red-top" mens socks really excellent. Many thanks for taking the trouble to rating our new socks that we have had made to replace the wolsey grip tops that have now been discontinued. Even better they are being made in Derbyshire, which feel help the local economy. Rupert the Tailor Red top socks are actually an improvement on the Wolsey version. They stay up!! The foot size is slightly smaller but this is not a problem for either of us. Courteous and very quick to solve problems. Thank you, we are always available to help in any way we can. Swift and efficient. No problems. Why are all these companies so needy? I order from you because you have the goods I want at the correct price and you send them efficiently otherwise I would not be re ordering. Thank you for taking the trouble to leave the feedback. We don't want you to feel you have to. Please ignore if this comes up again in the future. Feefo are an independent body but it helps us and assures other customer we are a reliable company. I'll be back for some more - they are nice socks. Thank you for taking the trouble of leaving feedback we look forward to you visiting us again.